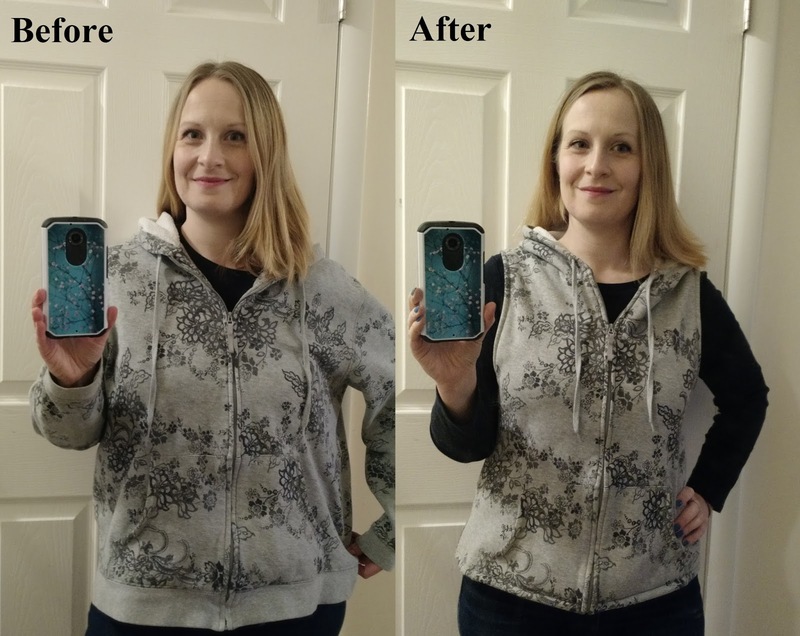 Recently, my mom gave me a few sweatshirts she no longer wanted. 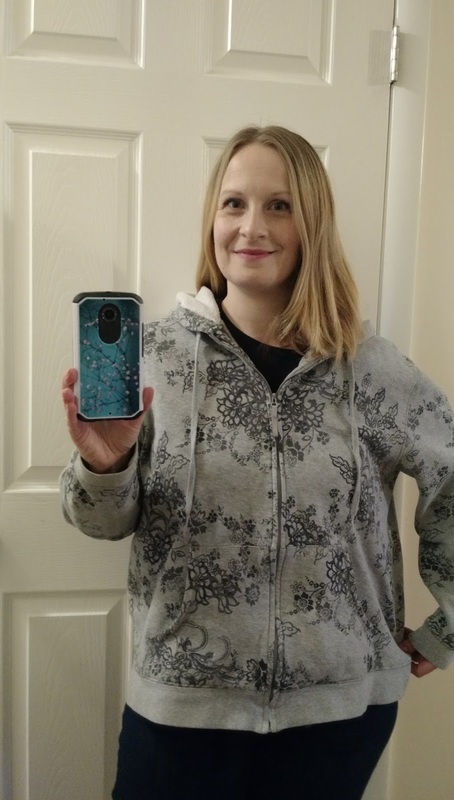 They were a bit too big on me, but this one had a cool pattern on it, so I decided to take it in. I decided I wanted a sleeveless hoodie, so I started by chopping off the arms. I saved those to use on another project some other time. 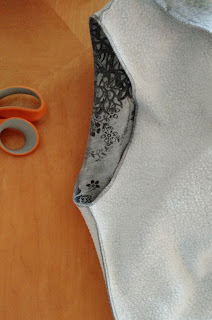 I took in the sides with my serger, then finished the edges of the armholes, too. 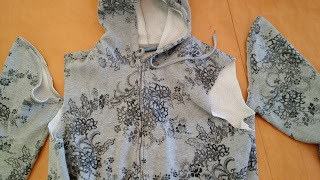 I folded the edges of the armholes to the inside and stitched them down. I decided the sweatshirt was just a bit too long, but I didn't want to mess with replacing or shortening the zipper. So I just folded under the bottom band and stitched it down most of the way around near the edge. 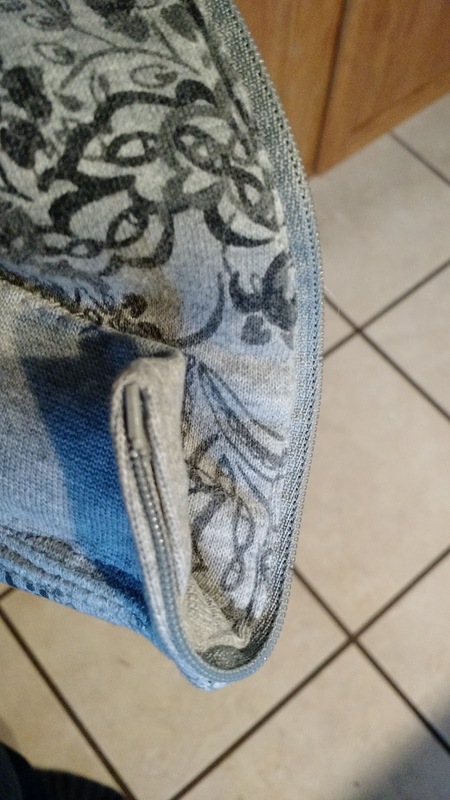 Then I tacked it down at the seams and behind the front pockets. Near the zipper, I just didn't stitch it, so it looks like this on the inside. Not super professional, but it allows me to zip it. And here it is. It's perfect for wearing under my winter coat or when doing housework around the house when it's chilly in here. I like it. It is more flattering. Nice trick with the zipper. It looks great. 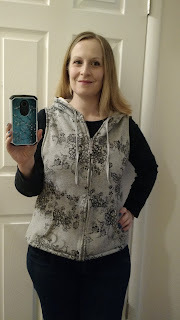 I agree with Chickie, much more flattering, and without the sleeves its just the right amount of floral!